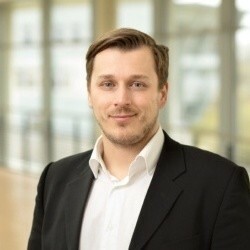 Dr. Sebastian Gajek is a professor for Cryptography and co-founder of weeve, a Berlin-based venture at the forefront of IoT and Blockchain. Before he held a research position at NEC Laboratories Europe, where he transferred foundational security research to products. He was a postdoctoral fellow at the Tel Aviv University and obtained his PhD from the renowned Horst-Görtz Institute for IT-Security, one of the leading academic institutes for Information Security in Europe.